Minimum order is 50 coolies. Pricing as low as $1.99 each. 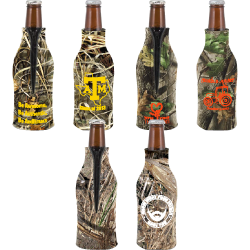 Our premium camouflage bottle koozies come with a zipper to keep your bottle full enclosed and refreshing cold. 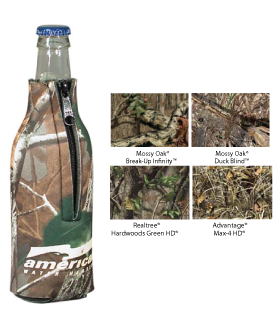 All of these colors are trademarked and guarenteed to be authentic. When you are looking for a Trademark pattern come here first.